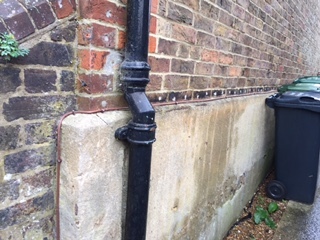 It is important for any building to have a suitable damp proof course (dpc) at the base of the main walls. This should ideally be place 150mm above external ground levels. 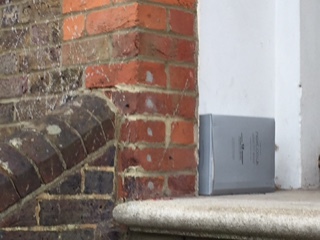 Where a dpc is deemed to be ineffective this may result in a specialist damp company fitting a new chemical dpc which is inserted by way of drill holes as shown in the photographs. However, in many cases the new dpc’s are fitted at ridiculous heights and it is questionable if they will be of any use. The example shown will be of no use. These photos were taken in Reigate, Surrey. For more on our services and how we can help, do not hesitate to get in touch with us today. Call us on 01737 245947 or use the form on this page to get a free quotation.